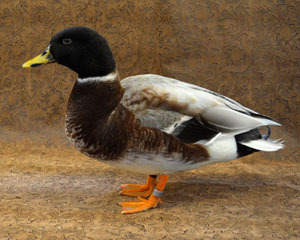 The Australian Spotted Duck is a bantum breed of ducks that developed in the USA. These flying ducks are known for their good looks and friendly disposition towards their owners. 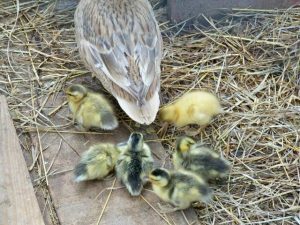 The waterfowls will never leave the owner’s house unless they are over-crowded, or are in a dirty living condition, or else, threatened by predators. The Australian Spotted ducks originated in the early 1900s, and are one of the few breeds of domestic ducks that were developed in the United States of America. The very name of these birds is a misnomer, since it has no connection with Australia, as far as its development is concerned. 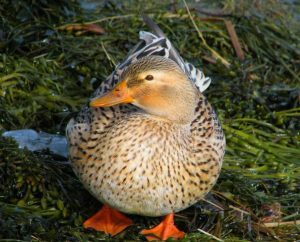 In 1920, John C. Kriner and Stanley Mason, two gentlemen from the American state of Pennsylvania, crossed a few breeds of Australian wild ducks with the mallards, the calls, and the pintails. It took several years for them to develop the desired specimens. 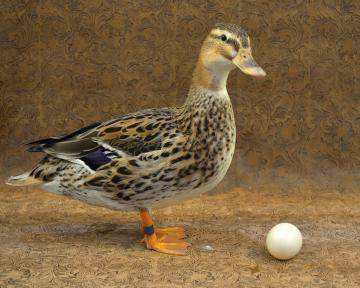 It was in 1928 that the first successful Australian Spotted Ducks were developed. 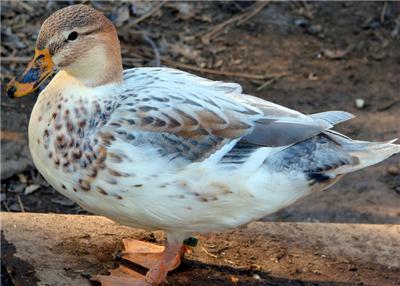 Though, the contribution of the pintails in the development of this breed has much been debated because of their differences in chromosomes. But biologically, it has proved to be true. A first-row breeder of waterfowls in the US, David Holderread, has concluded that, he has found several characteristics of the Australian Spotted that are distinctly present in the pintail ducks. Raising them is easy. But because these ducks can fly, they are better kept in an enclosed space, or with a wing clipped. The enclosure for a pair should be a minimum of 250 sq. ft., which should have grass, shady shrubs, and logs to perch upon. A night house is also required within their premises. There should be a pool within the enclosure of these water birds, filled with fresh water, and surrounded by gravels or rubber mats so as to avoid collection of mud. 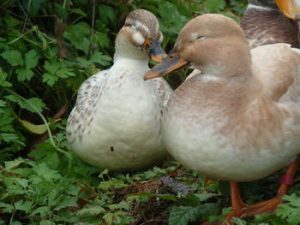 The fencing must be done in such a way that it would prevent both the duck and any possible predators to cross over or pass through. Pools, water bowls, gravels should be cleaned regularly. 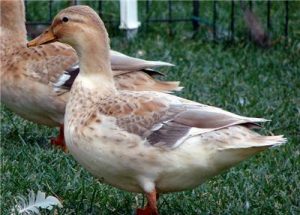 As meat-ducks, their meat quality is said to be good. But the amount of meat is less. The female ducks are excellent in raising the ducklings. The babies mature very quickly and are ready for egg and meat productions. Although they are not prolific layers, the size of their eggs is surprisingly large. Their eggs have more Omega 3 fatty acids compared to any chicken egg, and are richer with more albumen that makes confectionary products fluffier. 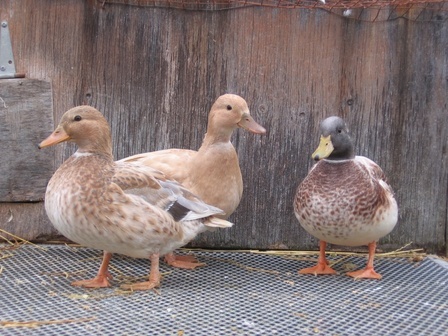 Out of the 3 varieties, the original was the ‘Greenhead’ variety from which the ‘Bluehead’ and the ‘Silverhead’ varieties were developed in Holderread’s Preservation Farm. They are critically endangered, with a global population of less than 1000 and only around 500 breeding individuals remaining in the US. They have not yet been recognized by the American Poultry Association. Individuals having snowy heads are excluded from the breed standards. Hi not sure where this site originates but am trying to connect with other breeders of Australian spotted ducks. I started breeding this season 2016. I have 13 Aussie spots, 3 one year olds and 10 from this years hatch. These birds are a delight. I live on Saltspring Island in BC Canada and would be grateful to hear from others with an interest in this breed.